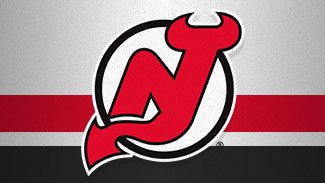 The New Jersey Devils have certainly had a busy offseason after giving their fans plenty to cheer about during the 2011-12 regular season and Stanley Cup Playoffs. First and foremost, captain Zach Parise departed for a 13-year, $98 million contract with the Minnesota Wild on July 4. Though the departure of one of the most respected players in team history was a tough pill to swallow, Devils coach Peter DeBoer is confident his team will persevere. "We have to," DeBoer said. "I think the thing we've shown last year and even in prior years here is this program is bigger than individual people, and we found a way over the years to fill holes." Forwards Alexei Ponikarovsky (signed by the Winnipeg Jets) and Eric Boulton (New York Islanders), and defenseman Matt Taormina (Tampa Bay Lightning) also departed via free agency. Additionally, DeBoer lost two assistant coaches -- Adam Oates and Larry Robinson. Oates left to become coach of the Washington Capitals and Robinson was tabbed as associate coach of the San Jose Sharks. Despite those losses, general manager Lou Lamoriello was able to re-sign several key players from last year's memorable playoff run, which ended with a loss to the Los Angeles Kings in Game 6 of the Stanley Cup Final. At the top of that list was 40-year-old goalie Martin Brodeur, who has spent the last 18-plus seasons with the Devils. The venerable Brodeur inked a two-year deal, as did his backup, Johan Hedberg. Brodeur and Hedberg will certainly help ease the process for the pipeline of goaltending prospects within the system. Lamoriello also re-signed hard-working fourth-line forwards Steve Bernier, Ryan Carter and Stephen Gionta, in addition to defensemen Bryce Salvador, Peter Harrold and Mark Fayne. "I think the fact we're not only returning all our defensemen, but returning the number of players we are in general is great," DeBoer said. "These players know the expectations here and how we want to play. Maybe it allows us to get into the details of the game and other areas earlier on where we couldn't last year because of starting from square one." The Devils also signed physical wing Krystofer Barch, who could serve in that agitating fourth-line-type role after accumulating five points and 114 penalty minutes in 51 games last season. Barch split time between the Dallas Stars and Florida Panthers. DeBoer was asked if adding a player like Barch is neeed within the Atlantic Division. "It's an important element, especially in our division," he said. "It's no secret this is a physical, tough division and those guys play a role." Lamoriello reached an agreement with defenseman Matthew Corrente last month on a new two-way, one-year deal. He collected six assists, 44 penalty minutes and a minus-5 rating in 22 games with the big club last season, but he'll likely begin the year in the American Hockey League with Albany. DeBoer also added two coaches to his staff: Hall of Fame defenseman Scott Stevens, who'll focus on the defense, and former San Jose Sharks assistant Matt Shaw, who will help solidify the power play. "Scott Stevens was a natural fit and he seamlessly jumps in for Larry," DeBoer said. "The only thing he might lack is that experience that Larry had behind the bench, but that's something he'll pick up quickly. It isn't often you're able to add someone like a Matt Shaw, who had one of the top three power plays in the League the last three or four years. [San Jose] led the League in shots for on the power play the last three or four seasons and we feel fortunate that he's joining the staff." One question waiting to be answered is who will be named the 10th captain in franchise history. "I can tell you I'm very comfortable with our leadership group," DeBoer said. "I said that even when Zach was here wearing the 'C.' This wasn't a one-man job, and there are a lot of candidates [to be named captain]." At the 2012 NHL Draft, the Devils chose six forwards and one defenseman with their seven picks. Their top choice was center Stefan Matteau of the Under-18 National Team Development Program. The No. 29 selection and projected power forward will play for Blainville-Boisbrand in the Quebec Major Junior Hockey League in 2012-13. On the injury front, Fayne underwent left wrist surgery on June 25 and could be out of action until October. Left wing Patrik Elias had groin surgery in early July but is expected to be ready for training camp in September.